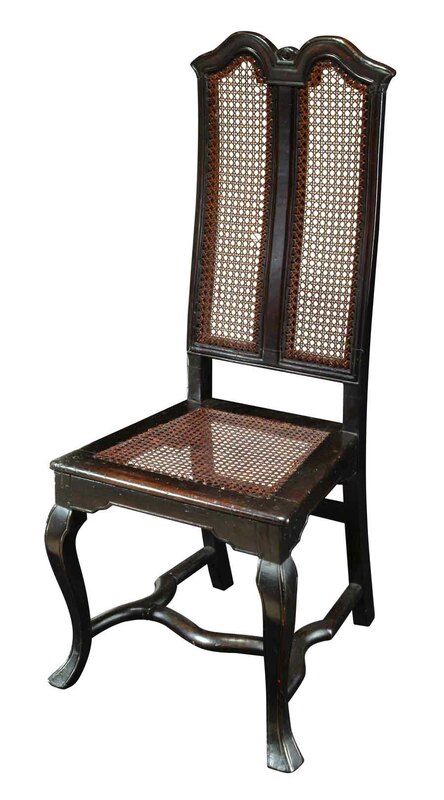 To an ebonized English beechwood side chair. Having a craved crest with the all seeing eye. The back and seat are canned and the four repaired legs are connected with a swirl stretcher. Provenance; William Trent House Trenton, NJ.